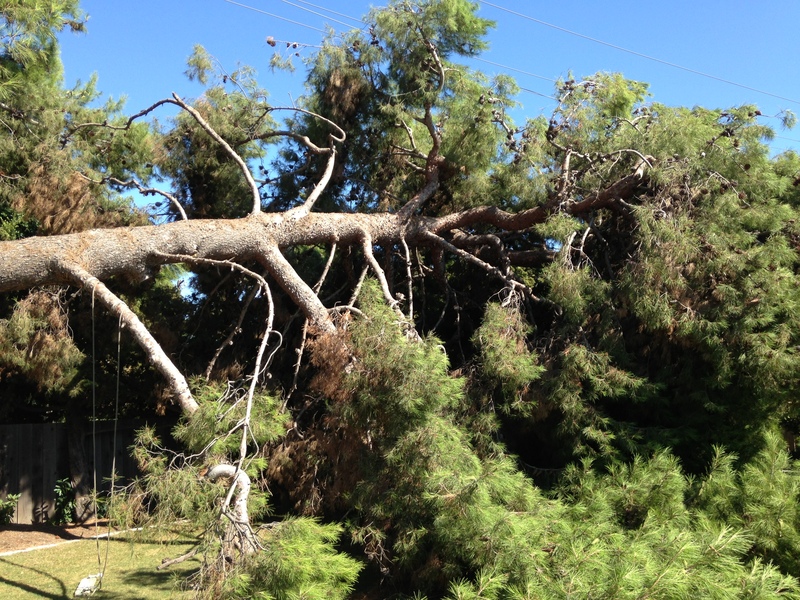 When a pine tree broke in half and fell down in the customer’s yard, OC Tree Services was there to the rescue. Orange County Tree Services visited our customer last fall and informed them that there was a pine tree that needed to be thinned out. When we told the customer that the tree needed trimming, they told us that their budget wouldn’t allow it at that time. We informed the customer that there was a possibility of the tree falling down but had to leave it due to these budget constraints. Having a tree trimming done professionally not only adds aesthetic value to your home, but ensures the longevity of healthy trees. 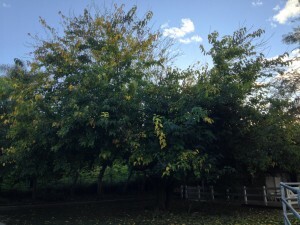 Tree trimming is a good preventative measure that can be taken against falling trees. 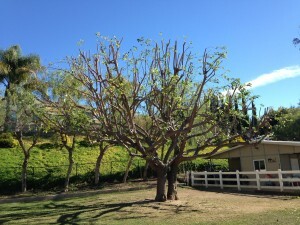 OC Tree Services is in the business of keeping your trees looking beautiful and we don’t like to see a healthy tree fail. Although our customer’s pine tree had been trimmed three years prior to this visit and was very healthy, it had a slight lean and too much over growth. 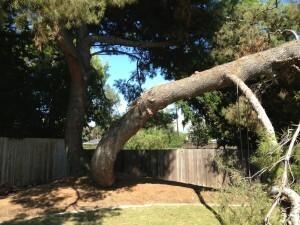 These factors along with a change in temperature or gusts of wind caused the tree to fail and split in half. 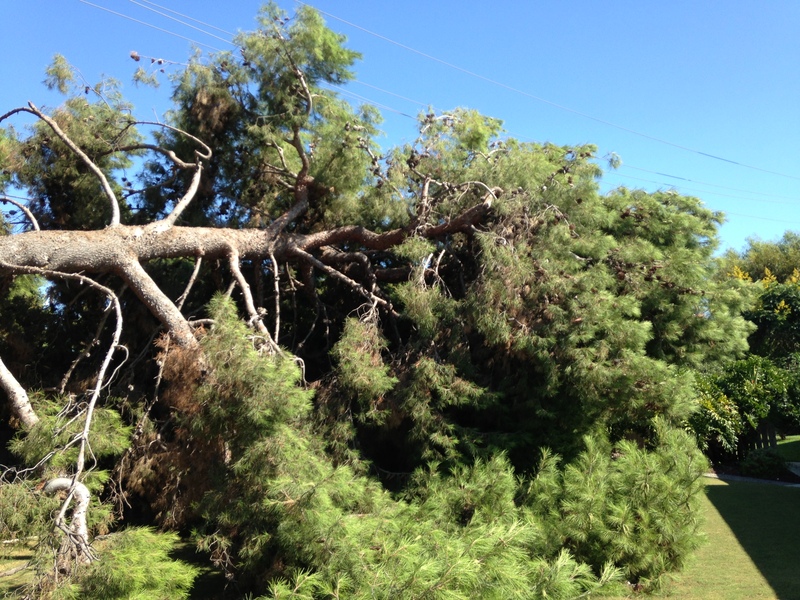 The customer called Orange County Tree Service this past weekend to have the pine tree removed. If you need a trimming service, call us now at 1 (866) 842-5634! Luckily, the tree didn’t land on the customer’s home or in the busy street behind their house. When OC Tree Service arrived, we found the fallen tree in the perfect spot in the backyard. This is not always the case, as fallen trees can often cause damage to property. When your yard is faced with a fallen tree, removal is the only option. With the top half of the tree broken from its base, the pine would have died and left a tall, ugly stump. 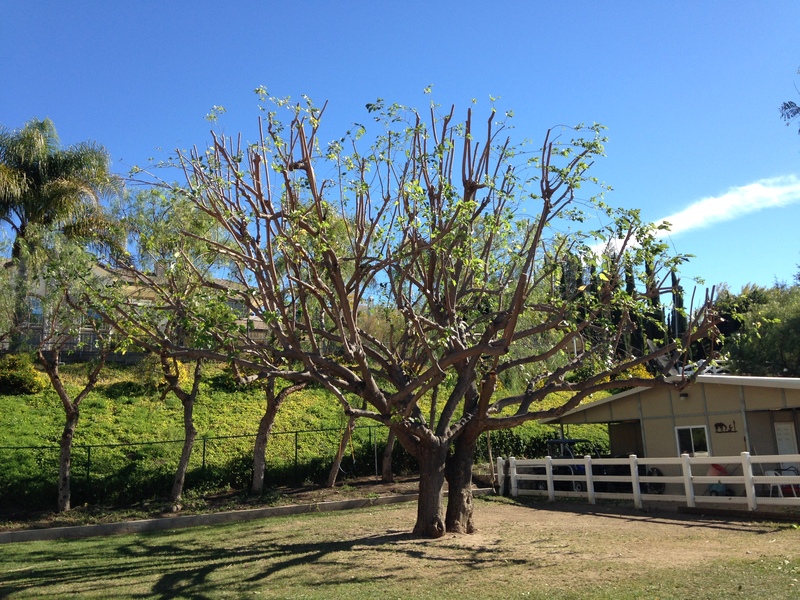 As a professional service, OC Trees takes all precautions on removing trees and disposes of the debris responsibly. We care about the environment as evidenced by the fact that all of our tree trimming debris are recycled. All of the debris is hauled to a processing facility that grinds the branches up to make mulch. Some of this mulch is used to plant new trees and plants. Other mulch is used to cover the top layer of planter beds and provide nutrients to transplants. By the end of the job the tree had been properly removed and recycled. All in a days work. Value can be added to your property by maintaining a healthy and mature pine tree. Removal of fallen trees will also restore functional space to your area, but it would be best to avoid this altogether. We always recommend having your trees trimmed on a regular basis to avoid tree removal. But if disaster does happen to strike, Orange County Tree Service is just a call away at our toll free number 1 (866) 842-5634!